Roland, our elf came back to visit this Christmas. He came right after Thanksgiving and stayed until Christmas morning. Christmas morning, Santa left a note saying that he took Roland home but he'd be back again next year. The boys have loved this tradition the last few years. He brought the boys a movie, a fun chocolate candyland game, special Christmas cereal, rode their tricycle, wrote on our mirror and more. 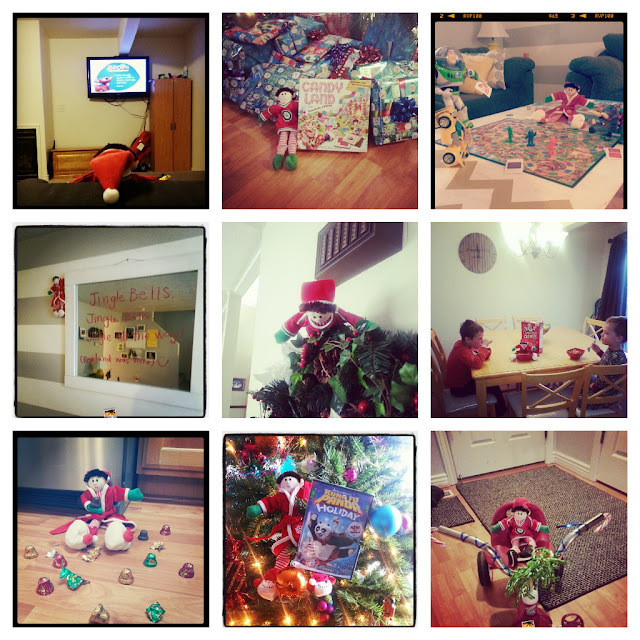 Here are some of our favorite photos of Roland and his elfcapades that he was up to.